The Best Board Games Of 2018 For Board Games Geeks! Whenever you have family and friends gathered around, it's usually for holidays, special occasions, or just for fun. And one of the best ways to pass the time together is to settle in with a good board game. But in this day and age, keeping track of game pieces and setting up physical board games can be a hassle! That's why we've rounded up some of the best board game experiences that you can enjoy on your iPhone or iPad, without any mess to clean up. Only you can choose what you want to play - a physical or digital version of the games! No matter what kind of the game you prefer, in this compilation, you will find games that will brighten up your leisure time and to spend time with the company! A stripped-down version of the Lovecraftian game subgenre. 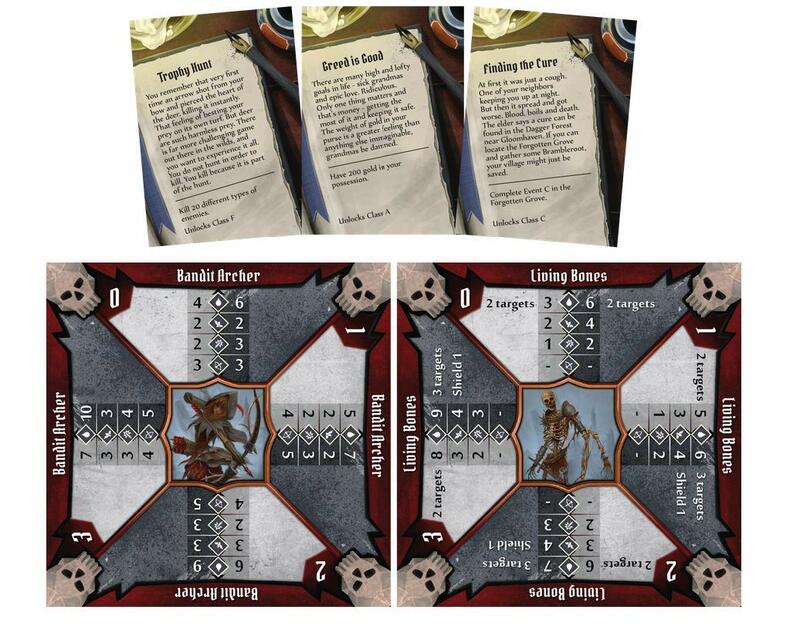 This is strictly a card-based game, so no map tiles or plastic figures. Even so, it has amazing narrative storytelling and laying out location cards on the table gives players a clear picture of what's going on and where. Catan is a popular board game, and it's even available digitally on your iPhone and iPad. In Catan, you must race against others to settle on the island of Catan and become the Lord or Lady of the island first! It's a game of resources, and you'll want to own as much land and have as many materials as possible if you want to beat the others who are competing for the same title as you. Build your own settlements and take over the regions owned by others. The one who has the most victory points by the end of the game wins. With Catan Universe, players get the experience of both the board game and card game, so this is a 2-for-1. Catan Universe allows you to create custom pass-and-play matches with up to four people, or you can go with AI opponents or even online. Just sign in to your Catan account, and play from anywhere. The new Fallout 76 video game not doing it for you? Don't feel bad, it's not hitting the right note with a lot of people. As an alternative, may I suggest this expansive board-game version, which feels much more like a traditional Fallout game. It's got factions, settlements, super mutants, buying and selling, and of course, lots of deadly radiation. Another highly popular board game is Carcassonne, and it's been around for ages but has retained a loyal fanbase. For the uninitiated, Carcassonne is a tile-placement game where you must create a town by placing the "Meeples" on the tiles, thus becoming the ruler of a kingdom once everything is said and done. Points are earned by completing roads, creating entire kingdoms, and protecting the Abbeys. Whoever has the most points once all tiles are laid down wins the game. It sounds easy, but the game requires a lot of planning ahead and strategy. You can play locally with others in a pass-and-play style, go head-to-head against the AI, or even online. There's also a solitaire game that's more based on luck and chance, rather than strategy. A great card-based game for playing with kids, as each round has a hard 5-minute limit. 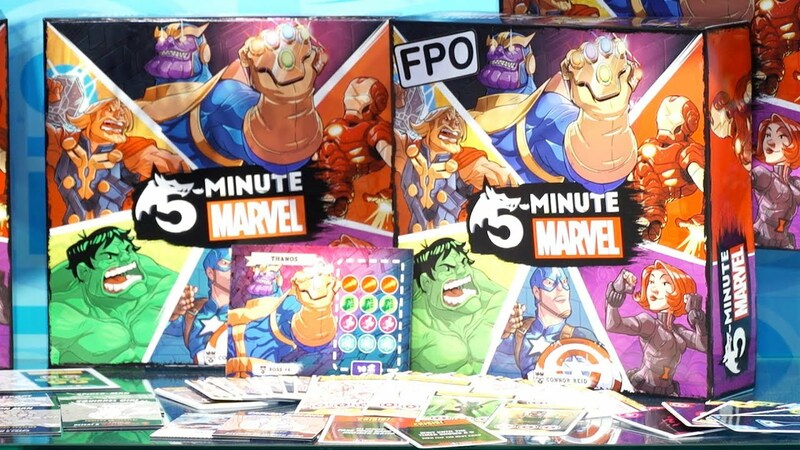 Various Marvel heroes go through a giant villains deck, matching symbols and playing special cards, all in real time against a 5-minute timer. I liked that besides the usual Spider-Man and Captain America gang, it also included up-and-comers like Spider Gwen and Squirrel Girl. Exploding Kittens is one of the most-funded game on Kickstarter, and now it's even available digitally. The game of Exploding Kittens can be played with 2-5 people, and it works with multiple phones in the same room, or just online. And if you are alone, there's a single player mode too. The goal of the game is simple and similar to Russian Roulette. Everyone draws cards, hoping that they don't draw an Exploding Kitten. When this happens, they are "dead" and get kicked from the game. That is, unless they have a Defuse card, which can prevent the kitten from exploding through the powers of belly rubs, laser pointers, and other things cats like. All other cards in the deck are used to move, mitigate, or avoid the Exploding Kitten entirely. Exploding Kittens is a game that is sure to get everyone laughing, and all art is drawn by The Oatmeal himself. A really unique kid-friendly game that's played in near-total darkness. 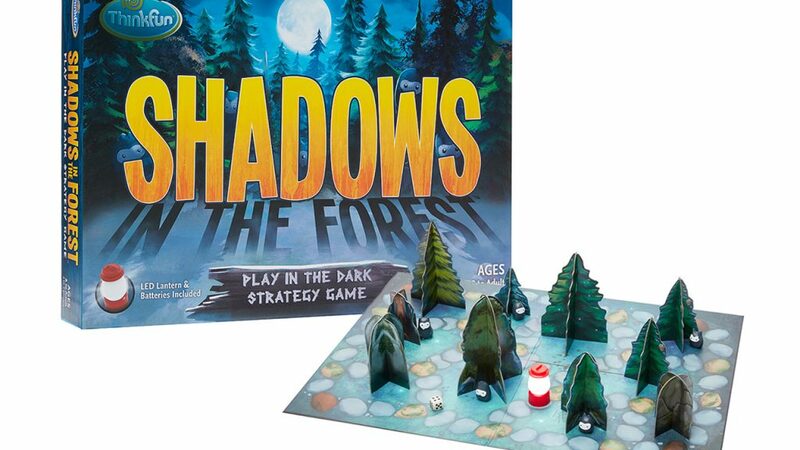 Little shadowlings hide in a forest made up of 3D tree standees, while one player controls a tiny, battery-powered lantern, and tries to find them all. Great physicality, between the 3D trees, the shadowling figures and the little lantern, and unlike a lot of other games, it takes no more than five minutes to learn the basics. If you're looking for a game about discovery, then Tokaido is it. This is definitely one that everyone in the family can enjoy, and it looks beautiful to boot! On this gorgeous adventure, everyone takes turns and tries new experiences on their journey in Japan. These experiences include trying different, new things like sampling new foods, collecting souvenirs, visiting temples, bathe in hot springs, and more. The goal, though, is to make sure you balance your coins (you need to pay for those experiences) with the activities that you do, and some experiences cannot be shared with other players while someone is occupying that space, so tread carefully! Tokaido can be played with up to four people in a pass-and-play style, or you can go up against some computer AI opponents too. There is online multiplayer as well if that's more your thing. This behemoth of a board game is expensive and occasionally hard to find, but it's worth the effort and expense to explore a rich world spiced with deep, strategic combat. Gloomhaven replaces the traditional dice-based combat with a card-based system that reduces randomness and works stunningly well. While daunting at first, the gameplay turns out to be a surprisingly simple matter of picking the right cards at the right times to beat up the big scary monsters blocking your path forward. When not fighting, you can move the surprisingly rich story forward with choose-your-own-adventure style moments that reveal the interesting depth and complexity of this well-crafted and unique fantasy world. Another classic is Ticket to Ride, and this is sure to be a hit with group gatherings. If you've played empire building games, then Ticket to Ride is similar. Players are building and claiming railroad routes, earning points by connecting them to cities, and creating longer routes means extra bonus points. 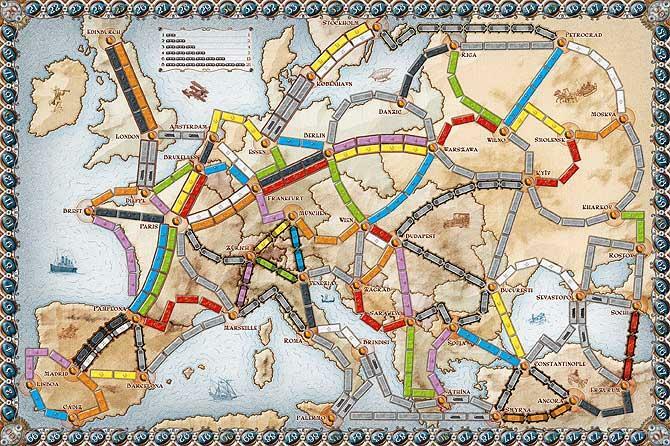 Ticket to Ride has a huge selection of maps, as there are seven in the base game, and every expansion has its own set of maps too. You can play with others locally in pass-and-play style, or go online to compete with others who have the game. And if you just want to play on your own, you can do so with computer AI opponents. You'll have to hit eBay or a resale shop to find this giant game. So far it's sold through two printings on Kickstarter, but there are no plans for a retail release. Trapped in an underwater research station, one to six players avoid flooded rooms and, you guessed it, Lovecraftian monsters. Derivative, but great atmosphere and art direction. Whether you like sushi in real life or not, Sushi Go! is a fun addition to your digital board game collection. 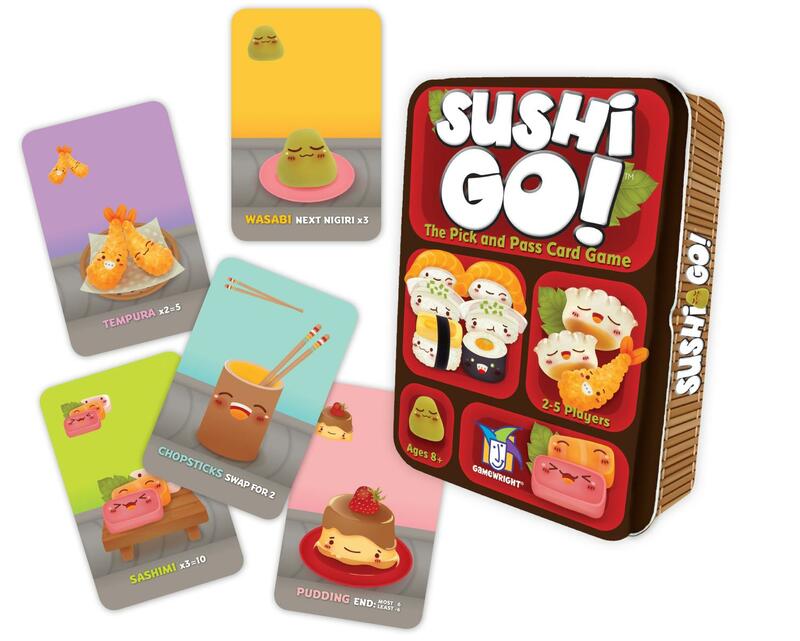 In Sushi Go!, players must try to get the best combination of sushi dishes as they pass by on the conveyor belt. Each piece of sushi has a different point value, and some must have a complete set in order to get you points (otherwise you get nothing). Some cards increase the value of certain pieces of sushi and make sure to save room for dessert. Otherwise, you'll lose points! The player with the most points and pudding desserts after three rounds is the winner. Sushi Go! is an interesting new game that came out recently, and it's great fun for all, even if you don't eat sushi in real life. 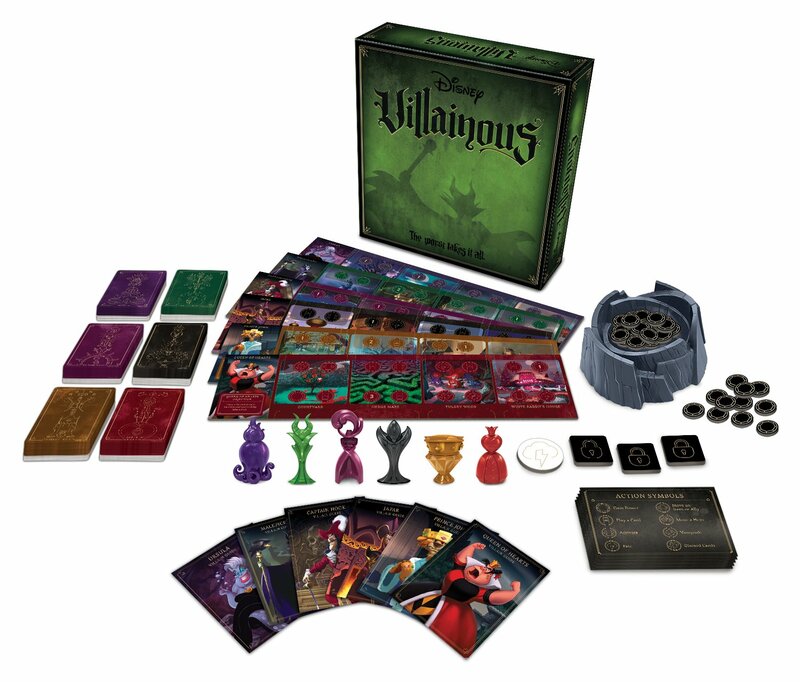 One of the bigger buzzed-about board games this holiday season, Villainous is a surprisingly deep and sophisticated game, bringing together an all-star team of Disney villains, each with their own objectives and custom mini game board. There's a lot of strategies so, it's best for older kids (10 and up) or adults, who will find this just as challenging as many high-brow strategy games. It's time to choose your own path in Tsuro, a game that's friendly enough for the entire family to enjoy, even though it's all about strategy. In Tsuro - The Game of the Path, players must place tiles on the board to form a path that their stone can slide on. However, since everyone is making use of the same board, you'll need to be careful. 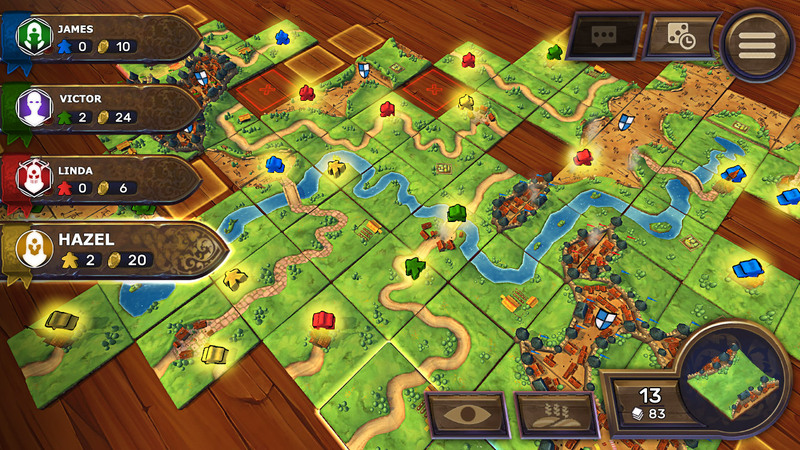 The paths of other players can steer your stone in the wrong direction or even entirely off the board. All of the paths created will start to cross and connect with each other, and the goal is to create the longest path while still remaining on the board. 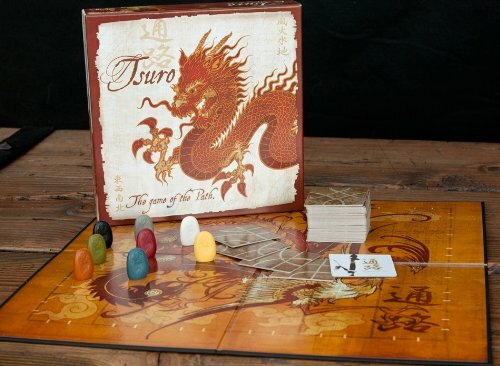 Tsuro has support for up to eight players in one game, either on one device or even online. There are also computer AI opponents to face off against too. Potion Explosion is a great game for the entire family to enjoy, especially if anyone loves a good puzzle. 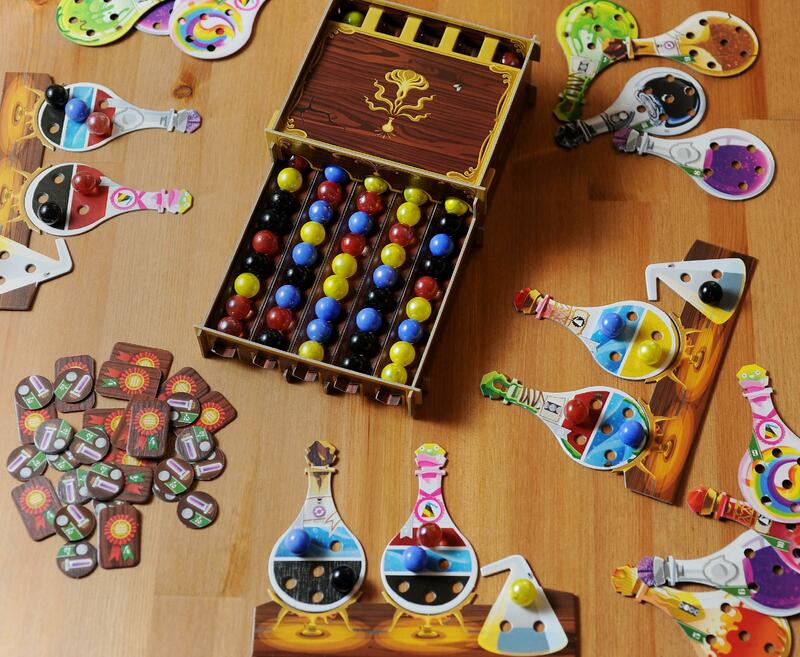 In Potion Explosion, players will cause a myriad of magical ingredients to explode, create chain reactions, and make unique and powerful potions in a cauldron. Everyone is given a specific potion to create at the start of their turn, and you'll need to figure out which ones they are and how to remove them from the stacks. Two ingredients of the same nature will be added to your collection if they collide with each other, and then you'll be able to create your potion with your chosen ingredients. You only have so much tank space to hold ingredients, so make sure you pick them carefully, make the potion, and move on to the next one. Every potion gets points based on potency and effect. The wizard with the most points wins the game. This is definitely a fun and challenging one that everyone will get a kick out of. Let us know in the comments what is your favorite one!